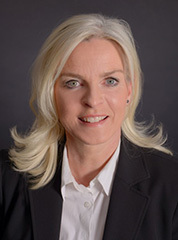 The company was founded in 2010 by Kathrin Palme Dietrich in Cologne, Germany. AGUAFLUX® online-shop sells high class, state of the art water saving products for enduser and distributors around the world. Our main focus is on so-called re-equipment products that allow to optimize existing faucets for reduced water consumption and increased user comfort. Our products save over 50% of water and energy. We do not have a store or showroom – we are selling our products exclusively online at highly competitive discount prices! In addition to domestic and international endusers, many commercial customers such as hotels, sporting clubs (fitness, tennis, golf, etc.) as well as public facilities are already successfully using the AGUAFLUX® watersaving appliances on a daily basis. Today there is not only a lack of fresh water in many countries and regions but also very poor water pressures an variances in the water flow in many buildings due to old pipes. Therefore AGUAFLUX® offers water savers and showerheads that allow set water consumption and are especially made to work under „rough“ circumstances. The AGUAFLUX® water savers pay off immediately both in your bank account and in the environment !